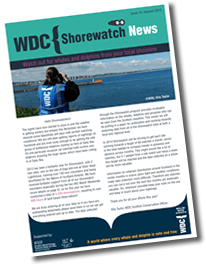 The objective of the WDC Shorewatch Programme is for partner groups and community volunteers to become stewards of whales, dolphins and the marine habitat in which they live. 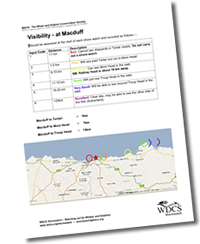 Shorewatch is a local community and volunteer led initiative with volunteers carrying out shorewatches for the programme at designated local sites with access provided by partner groups. We are extremely grateful for their involvement - by joining the programme our volunteers and partners are actively contributing to the protection of whales, dolphins, porpoises and their environment across in Scotland. We are delighted to receive support and contributions from so many individuals and organisations, including partner groups at local sites and our funders whose generous support makes the Shorewatch programme possible. WDC would like to thank the many generous and enthusiastic volunteers at sites around the country who do the real work that makes Shorewatch successful – many thanks and keep on watching!